From receipts to important documents, this versatile digitally printed folder fits them all. 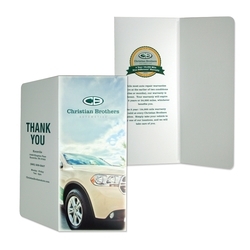 Features a sealed pocket, wallet style flap, four color process, digital print and quantities as low as 50. Choose from 100lb Gloss Coated cover, Uncoated 80lb Smooth White or Eggshell White stocks. 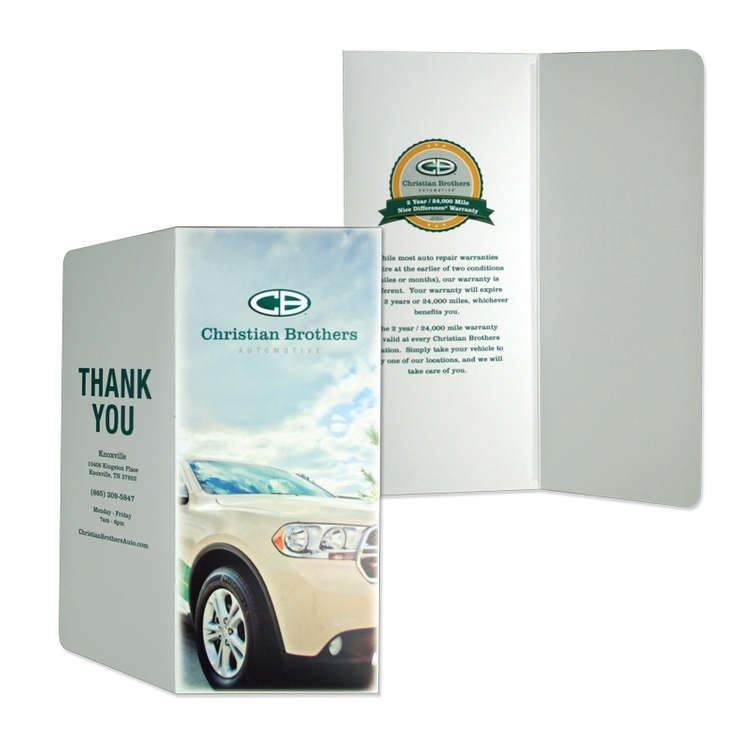 Completely customize your folder just the way you want it by writing your own copy and choosing your own graphics. Add Horizontal four corner business card slots centered on flap or pocket for no additional cost.